When IKD customer Susie of Bentonville, AR, bought a second home to live in while her primary residence was being built, she soon realized she needed to build up that space as well. “Our intention was to take a structurally sound but dated house and dress it up so we could rent it out after we moved. Initially, I thought the cabinetry just needed a coat of paint. However, once we moved in I realized that they were in very poor shape and downright gross inside. I didn’t even want to unpack my dishes! We decided it was a great opportunity to put in an IKEA kitchen,” she says. 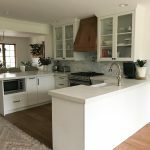 So, Susie paired white IKEA SEKTION cabinetry framework and IKEA GRIMSLOV cabinetry in off-white to turn the outdated space into a sleek, transitional and functional IKEA kitchen. The IKEA cabinetry was accented with IKEA BLANKETT handles and hardware, IKEA MAXIMERA drawers, a Whirlpool microwave oven with extractor fan, and recessed ceiling lights. Other products included a Frigidaire counter-depth, French door refrigerator and a Samsung gas range and dishwasher. The final result was even more impressive considering that a full remodel was not part of her and her husband’s initial plan – or budget! “Our budget was less than $1,000, which was going to be just paint for the cabinets and a new dishwasher. Once we looked inside the existing cabinets our new budget became $10,000. With IKEA cabinets installed by us, and an appliance sale at Lowe’s we were able to stay well under that, even with hiring licensed pros to update electrical, lighting and move the gas line,” she says. She concludes: “The IKEA cabinets were great while we lived in the house and were a great asset when we rented it out. IKEA cabinets are perfect for DIY-ers and much better quality than anything we saw in the big box stores for anywhere near the same price.” Let’s see how Susie accomplished these results for her IKEA kitchen! Susie needed to optimize space in the 22’(L)x10’(W) kitchen while still making it easy to navigate. “We wanted to keep it light and optimize the natural light, balancing that with adding storage,” she describes. She wanted to move the refrigerator to the opposite wall so she could install a water line for the icemaker, as well as find a place for the Whirlpool microwave and remove the soffits to increase storage space for the GRIMSLOV cabinetry and MAXIMERA drawers. She adds: “The MAXIMERA drawers are great because they fully extend and they have a soft close! I can’t imagine living without soft-close drawers and doors anymore.” Having more drawers and a place to hide the trashcan were key ways to improve functionality and flow, as was incorporating a peninsula bar for added food prep on the opposite wall as well as to accommodate the refrigerator. “I really wanted products that were easy to keep clean and would hold up to future renters, and to modernize the style while keeping it timeless,” she says. 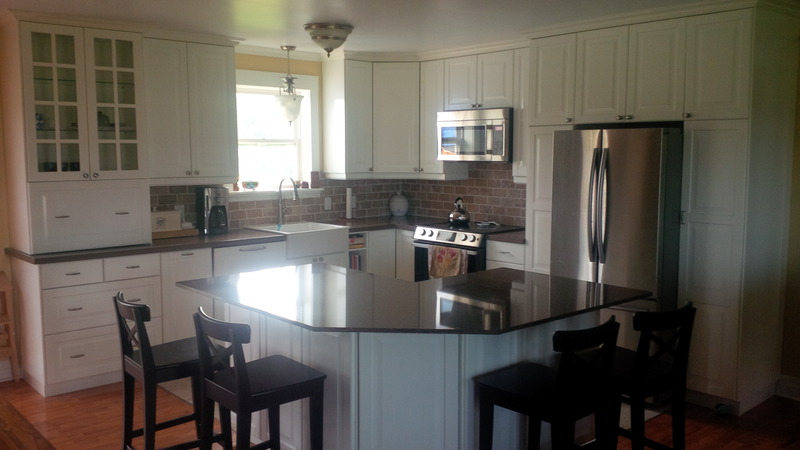 Inspired by kitchens on HOUZZ Susie and her husband came up with stylish ideas.“We used the IKEA under cabinet lighting system. It looks great. I like it better than the LED lights in the home we live in now. IKEA’s lighting gave me two settings (high/low) to choose from, and the diffuser did a nice job keeping little points of light from reflecting off the kitchen countertop,” she explains. Adding to the look are recessed ceiling lights as well as above cabinet lights, new flooring and a backsplash; and Black pearl granite countertops, bought locally at Tri City Granite in Bentonville, AR. 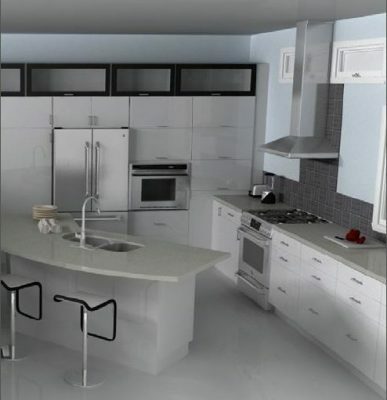 Learn more about how we can design your IKEA kitchen, bath and closet www.inspiredkitchendesign.com. When you envision the kitchens of past decades, and from your childhood even, the only artistic element was likely to be the wallpaper. In-keeping with the times, it was typically heavily patterned. Other than the variety taped to the refrigerator, original or replicated artwork was not a standard part of the average kitchen. The wallpaper acted as the art, in a sense. While most of us are highly fond of our mother’s and grandmother’s kitchens and the warmth they exuded, the appearance of a modern day kitchen has evolved. Creating warmth remains high on the priority list for a room that is often described as the heart of the home. A bigger challenge than selecting cabinets and appliances, can be striking the right balance of sleek and contemporary with hominess. Artwork will play a big role, as the special touch that contributes a personal and welcoming vibe. Among many other reasons, it’s important to rely on professionals to draft your kitchen design. All considerations will be incorporated into your IKD design plan, including art. Don’t approach art as a last-minute addition. And don’t let it be something you focus on, only after you notice a broad empty spot on your wall. Spaces for art can be mapped out at the earliest stages of design planning. IKD designs for an IKEA kitchen will show you where you have space that would be appropriate for art pieces. And you’ll have the dimensions upfront, with art placeholders in your design plan so you know what to look for and how to envision the outcome. A smart design will include all aspects of the kitchen. SEKTION cabinet solutions, with countless options for cabinet doors and drawer fronts, will help set the tone for appropriate art styles and genres. The clean lines of cabinet styles such as EKESTAD, VOXTORP, ASKERSUND, KALLARP, JARSTA, KALVIA, and GREVSTA provide a contemporary basis for bold art choices. Vibrant colors, abstract, primitive, or pop art can play against these streamlined options. And whether your budget allows for original art or replicated prints, the addition of a nice framed piece will visually anchor your family kitchen. IKEA’s EDELVIK poster collection offers a vast range of both bold and subtle, illustrative and photographic imagery. TVILLING poster collection brings in subtle colorations, and BILD includes black and white photographs, and an illustrated map of Manhattan. IKEA poster prices range from $4.00 – $12.00, and when paired with a FISKBO or RIBBA frames, at $4.99 – $14.99, artistic elements can be affordable and supportive of the overall look. If you’re more of a traditionalist, and your art preferences lean toward serene landscapes, BODBYN, GRIMSLOV, HITTARP, TORHAMN, and LERHYTTAN will compliment. Art rooted in a particular culture or civilization can contribute a highly personalized effect to the room. A large framed mirror or sculptural pieces on wall shelves—these are all ways to add dimension, texture and visually engaging elements. Taller IKEA pantry towers can be flanked on either side by coordinating art, giving it an incorporated and cohesive appeal. Selecting the art to compliment the cabinetry, or the cabinetry to compliment the art; either approach can be successful. Now that your art is selected, don’t make the mistake of leaving it unilluminated. To draw the eye to the place where the art is hung, may require subtle or spot lighting. MAGLEHULT LED picture or cabinet light casts a subdued light on wall hung paintings or framed posters. A smaller piece of art hung under wall cabinets will benefit from OMLOPP LED countertop lighting, which will also serve to brighten the workspaces of the countertop. Art is personal, as is the environment of your home. Make your IKEA kitchen your own through the details. Your family and friends will be drawn into the welcoming space, just like the kitchens you recall as a child. Why oh why is the IKEA Kitchen Planner so difficult to use? Or, in the words of an IKD customer, a real PITA (pain in the a**). Based on how much it disrespects you, we’d have to say the IKEA Kitchen Planner just isn’t that into you. It’s almost like the IKEA Kitchen Planner is just not that into you. But instead of just dumping you, it tries to annoy you so much that you dump it. Is the IKEA Kitchen Planner really that bad? 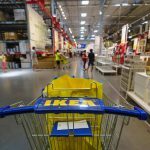 This post, “Does the [sic] IKEA Kitchen Planner Actually Work??? ?” is pretty typical of the experiences we hear from our customers. An IKEA store is a fun place to visit. And it’s even better if you venture into the kitchen showroom. The kitchens within the showroom—each having a perfect mix of IKEA cabinets and accessories—look almost perfect. And even better, a thorough kitchen showroom visit is a soup to nuts experience where it feels as if nothing has been left out or forgotten. 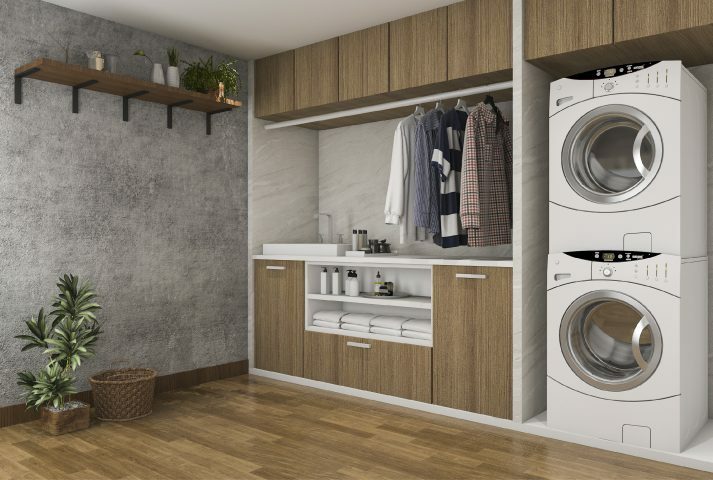 You can see all of their available door styles, and visit a display showing all cabinet boxes in their SEKTION system, including measurements, and various sinks, appliances, and accessories. They even have a team of kitchen specialists available to help you every step of the way and to give you access to the IKEA Home Planner. On the surface it looks like the perfect kitchen design experience that covers all your needs, from A to Z. But our experience tells us this system is not as perfect as it appears. The short answer is: you’re going to spend a lot of time in IKEA. But we think you’ll agree the result, your beautiful new IKEA kitchen, is well worth it. We’ve updated this post with new information as of 2016. Live from Texas: Photos of IKD’s First IKEA Kitchen Design Using SEKTION! This is Ryan’s old kitchen. Can you spot the big design challenge that’s just visually screaming for your attention? “How on earth do I get the IKEA Home Planner to work?” — a Google Search plea from many of our customers. We’ve detailed before the problems with the IKEA Home Planner. We even wrote the ebook on it! IKEA launched their new kitchen design line, SEKTION, just last month. The Home Planner was updated too. But it still has its shortcomings. Still want to persevere with the IKEA Home Planner? Great! Quite a few people figure it out on their own. Here are the glitches you need to know about. Plan to Use Custom Doors in your IKEA Kitchen? READ THIS. The IKEA Home Planner strikes again and it’s affecting our clients who choose to include custom-made cabinet doors and drawer fronts in their IKEA kitchen design. Never fear, there is a workaround. You can still include the beautiful kitchen cabinet doors you plan to purchase from Semihandmade. At IKD, we love all of the kitchens we design for our clients…but we still have our favorites. In this series we’ll share IKD team members’ favorite kitchen designs. Immediately I thought of Lisa as The Hulk. Because, as you know, Hulk Smash! Once she broke down walls and installed the IKEA kitchen design we created for her, this was the result. You really won’t believe what this space used to look like. Cyndi came to us with an interesting kitchen design challenge. She wanted her new kitchen to keep the same footprint as her old kitchen…but look completely different. And after she visited the IKEA store in Ottawa, she knew she could get the custom look she wanted using IKEA and some out-of-the-box thinking. We think we pulled it off, don’t you? The IKEA Home Planner seems like such a good idea at first. For no cost, you can build the IKEA kitchen of your dreams and send a 3D design and shopping list to your local store, where you can pick up everything you need. The reality is that the IKEA Home Planner is really hard to use if you’re not a professional kitchen designer. It’s not really an IKEA kitchen design tool. This week we will be looking at the wonderful, luxurious suburban kitchen from Nora Walker, featured in the “Brothers & Sisters” TV series.